Since 1950, Travaglini has been a leading company in the development of equipment for salting, curing, drying, pre-ageing and ageing rooms for raw ham, thanks to the experience acquired through cooperation with the world’s most important cured ham producers. 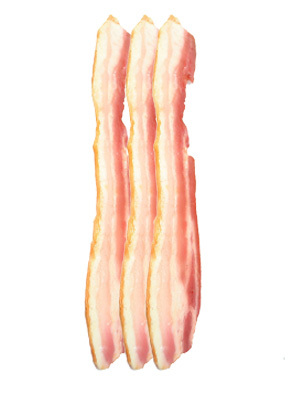 Our technologies, along with the skills of our experts help support the customer in solving any problem related to the stages of producing raw ham. The salting system is composed by ceiling mounted air exchangers and convectors made of ABS with conveyors that contain a hot water coil, installed in the centre or on the side walls of the room. As an alternative to this, however, there are some installations where it is possible to utilize a ventilated salting room, with special circular ducts and an air treatment unit. Temperature and relative humidity control are essential for proper absorption of sodium chloride. 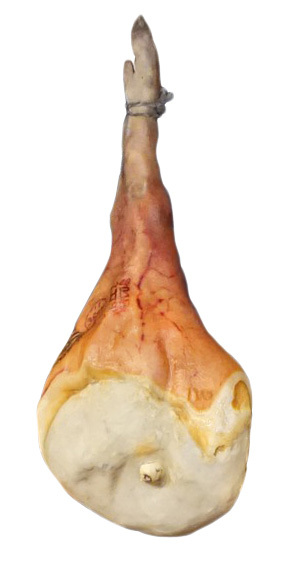 The salting period varies from 10 to 21 days according to the weight of the raw hams. This kind of equipment is specifically designed to operate at low temperature and relative humidity, allowing a gradual dehydration of the product and reducing the risk of crust formation. 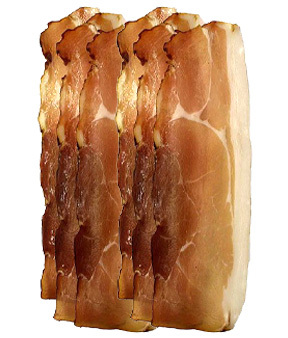 The curing period varies from 5 to 12 weeks according to the type of ham. This stage varies from 3 to 12 weeks and allows the product to be further dehydrated in order to guarantee that it can be safely stored. 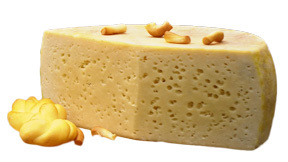 to verify the exact progression of the entire maturing process. Furthermore, to allow for various functions to be centrally supervised, we have designed a software program for this purpose that allows to monitor and manage system alarms, to collect and graphically displayed the rooms’ individual data, remote programming, remote support, and automatic centralised control for better management of energy consumption. We have developed a revolutionary ventilation system for this equipment: the air is distributed into the room through two ducts mounted on the side walls, complete with conical nozzles, properly dimensioned for this purpose. 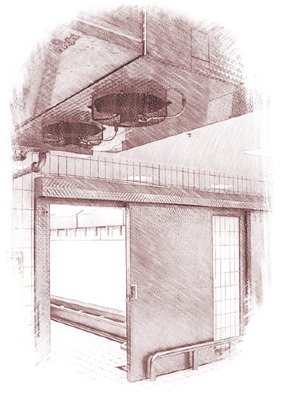 A linear actuator and damper system continuously regulate flow of air into the two inlet ducts in order to obtain a precise flow of air that moves constantly within the room and ensures a better drying of the critical “best end” portion of the meat. It is also possible to add intermediate stops and to decide their duration. Suction ducts are mounted to the ceiling where air flow is controlled by micro-adjusting valves. This kind of system is designed to operate at a low relative humidity, to obtain a high dehydration of the ham at low temperature, thus preventing bacteria from developing and allowing the salt to penetrate into the heart of the raw ham. This is the most delicate and important phase. 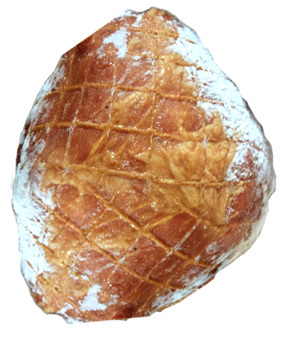 The pre-curing period varies from 2 to 3 weeks according to the type of ham. This stage varies from 1 to 2 weeks and allows to increase the internal temperature of the product in order to begin enzymatic processes. The ageing equipment is designed to maintain temperature and control of relative humidity at such a level in order to allow the product to develop its typical flavour. 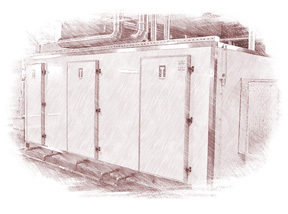 Heat recovery: our system allows to recover the total condensation heat transferred during the refrigeration cycle. Therefore, when the post-heating demand coincides with requirement for cold, there is hardly any need to use external heating sources. Furthermore, hot water around 40 – 45°C can be produced with a desuperheater (optionally available) which can be used for other processing systems as well as other plant needs. Enthalpy: the enthalpy system utilizes the dehumidifying power of outside air for as long as possible. Our system is based on algorithms that allow to use outside air even when one of the specific values (temperature and relative humidity) seems far from the required values. Economizer: in systems with an independent refrigeration unit, there is a subcooling system that guarantees a refrigeration capacity that is 15 – 18% greater than the absorbed electrical potential. High efficiency motors (IE2 – IE3): increase the system’s output, reducing electrical consumption. Inverter: frequency regulators, installed on the motor of centrifugal fans and/or compressors, that increase or reduce their rpm in order to improve their efficiency if process and loading conditions change. Direct coupling motor/fan: this particular technical solution, combined with the use of an inverter, allows for a reduction in the system’s electrical consumption, optimizing its regulation. Modulation of cooling and heating valves: to improve system performance in relation to the actual needs of the product during the various phases of maturation maturing. Hot gas defrost system: allows to defrost the cooling coil better and more quickly, which consequently saves energy. 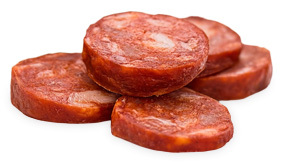 Since 1950, Travaglini has been the leading company in the manufacturing of drying and fermenting equipment for salami, thanks to the experience that we have acquired through cooperation with the world’s most important cured meat producers. 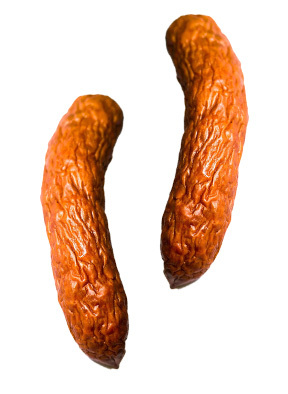 Our technologies, together with skills of our experts, support the customer in any problem connected to drying of salami in all their specific applications. Thanks to the combination of the installed cooling and heating power, it is possible to remove a noticeable amount of water from the product during the first hours of the fermenting process even at relatively low temperatures. In this way, water activity is reduced, fermentation is controlled, and negative effects from acidity are prevented. systems with blower walls in which the air is distributed via two walls, powered by a treatment unit which can alternate the supply and return of air flow. In this way, the product enters into contact with a suitable horizontal air flow. The risk of crust formation is practically eliminated because the equipment is controlled by the moisture released by the product. The working phases during which the product’s surface is dried are alternated with resting phases that allow it to “wake up”, allowing moisture from inside of the product to be released. to make one or more intermediate stops of the air flow within the room, which can be programmed directly in our computerized control unit which manages the system. Since 1950, Travaglini has been the leading company in the manufacturing of drying, smoking, and fermenting equipment for cured meat, thanks to the experience that we have acquired through cooperation with the world’s most important salami producers. Our technologies together with skills of our experts support the customer in any problem connected to smoked products in all their specific applications. An automatic or manual cleaning system allows for a perfect cleaning of the centrifugal fan, modulating dumpers, filter-trap, supply ducts (equipped with openings) and return ducts (that can be opened). Reduction of air pollution is guaranteed through a programmable smoke recycling system inside the room and through a special filter-trap that captures the tar content of smoke before it enters the smokehouse. Our equipment have an optional by-pass device with dampers that prevents the passage of smoke through the smoking cabinet. This guarantees that the equipment are more efficient and the costs of coil cleaning are lower. Moreover, it is possible to request specific filters/purifiers that can be installed on chimneys, in order to reduce air pollution. 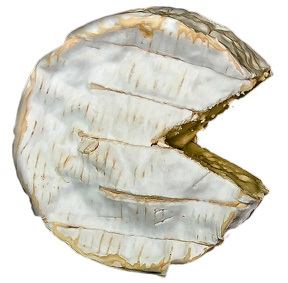 The maturing phase is very important for the production of fresh and semi-fresh foods; its purpose is to allow the development of aroma and the taste of the cheese. Maturing rooms are composed by Sani-system in stainless steel with rounded corners, in order to allow for adequate sanitation. Travaglini systems are designed to guarantee correct thermo hygrometer readings in each part of the cell, controlled gas creation (ammonia and carbon dioxide), and uniform air distribution through textile ducts in order to avoid excessive drying of the product’s surface. Travaglini has always focused on respecting ideal thermo hygrometric parameters in production, manufacturing and packaging areas. The need to sanitise these areas can also be considered with this goal. An example might be air treatment units, developed with technical specifications, such as circular angles, inclined planes, or washable materials, which allow for easy cleaning of the various components to remove dirt and residues. Depending on the duration of this phase, it’s possible to talk about medium (3 – 6 months) or long (more than 6 months) seasoning. Travaglini aging equipment maintain temperature and relative humidity so that they fall within such values in order to allow the development of the product’s characteristic aroma. Air is distributed into the room through ducts, which allow to achieve an uniform air flow on the product, controlled in function of the desired shrinkage. 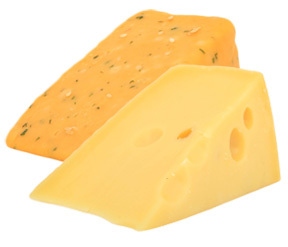 Depending on the type of cheese or loading, it is possible to offer different solutions: equipment with round textile ducts, blowing walls or static exchangers. Normally cheeses are placed on special stackable racks or hung. 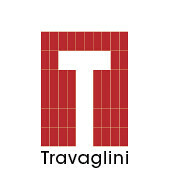 Travaglini leader in meat industry, also produce equipment for the salting, drying and smoking of fish products. 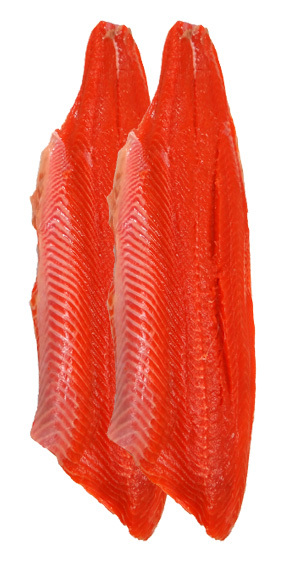 Through our professional experience in technological development over the course of time, with the help of our customers all around the world, we can satisfy any production need in the fish industry with our equipment. In this phase the product is laid horizontally and completely covered with salt. The equipment is composed by ceiling mounted air exchangers and convectors made of ABS with conveyors that contain a hot water coil, installed in the centre or on the side walls of the room. As a result of the technical experience that we have acquired over the course of time, we have designed different air distribution systems according to the loading systems used. 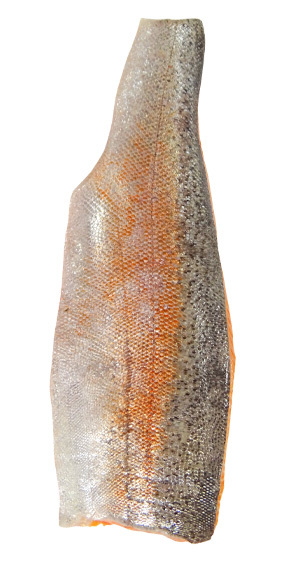 In the fish industry, for products that are loaded horizontally, air is distributed through vertical circular ducts, complete with proportionally-sized nozzles. The airflow within the room is continuously regulated in order to obtain a continuously moving precise airflow that moves from right to left and vice versa. In this way, every duct functions as both air supply and air return. The aim of this phase is to make the salt penetrate while drying the product at the same time. In this way, the salt enters inside the cell via osmosis, causing the water leaving, which must be removed quickly in order to avoid problems caused by bacteria. Equipment with round vertical ducts was also designed to satisfy customers who dry products via horizontal loading. The drying phase is very important and can be carried out at a range of different temperatures. The risk of crust formation is practically eliminated because the equipment is controlled by the moisture released by the product. 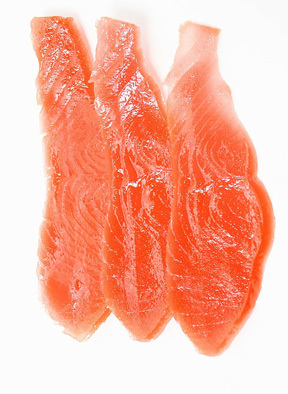 Fish filets come into contact with air flow that allows to perfectly dehydrated with the desired shrinkage the surface. 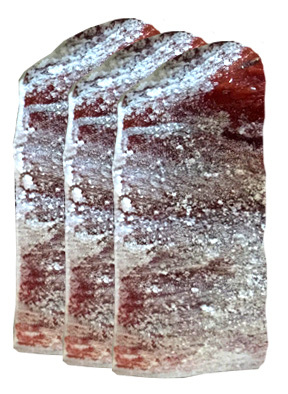 The processing phases during which the product’s surface is dried are alternated automatically with resting phases that allow it to “wake up”. 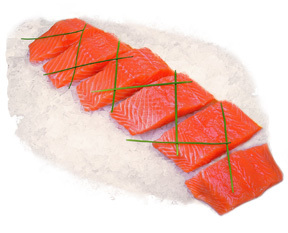 Since 1950, Travaglini has been the leading company in the designing and developing of thawing systems for all kinds of meats and various fish products. We guarantee a perfect temperature uniformity in all points inside the room, with reduced shrinkage throughout the entire thawing cycle, which may vary from 12 to 36 hours depending on the size of the product. none of the disadvantages of traditional immersion thawing systems such as excessive use of water and waste water draining. In “Turbo” equipment, air distribution is controlled by two side wall ducts equipped with proportionally dimensioned conical nozzles. A linear actuator and damper system continuously regulate flow of air into the two inlet ducts in order to obtain a precise flow of air that moves constantly within the room. Air return is controlled by ceiling ducts equipped with micro-adjusting valves. Since 1950, Travaglini has been a worldwide leader in the manufacturing of equipment for the production of sausages, hams and dairy products. Our company is a recognized and a qualified supplier of advanced conditioning and air treatment systems and clean rooms. 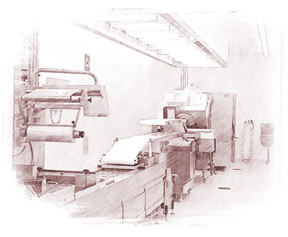 Thanks to our knowledge and experience of technological processes and their relative hygienic challenges, we are able to design and produce advanced equipment and to supply the necessary know-how and assistance to answer our customers’ production needs with adequate solutions. A clean room is a room in which the concentration of airborne particles is controlled. These rooms are built for minimizing the introduction, generation, and retention of pollutant particles within. The contamination of products due to dust, mold, and airborne particles reduces the quality and the shelf-life of the products themselves. Protecting products from contamination by harmful airborne particles means avoiding that they come into contact with the air itself. This is not possible during all stages of production and is extremely difficult at the same time. However, the concept of protection can be interpreted in a different way: not to isolate the product from the surrounding ambient, but instead to place it in a high quality environment, with controlled hygienic conditions, and with particularly pure air to promote protection of the product. For each installation class, filters with different efficiency levels are used. Air filtration takes place progressively; lower-protection filters are placed before those that have a higher protection. Progressive air filtration prevents damage to the higher-protection filters and their rapid contamination. 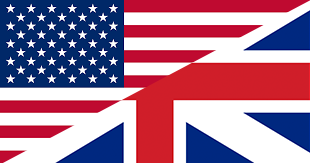 mixed flow, this is a situation in which unidirectional and non-unidirectional flows coexist. Therefore, looking at this classification we understand how choosing and properly placing filters is fundamental in the design of a clean room. entries and exits must be made using “Air locks” in order to minimize contamination, and furthermore, to maintain the differential pressures between the various environments. biological contamination through mold, yeast and bacteria present in the air. limited dimensions in order to guarantee a healthy work environment work areas must be placed as far as possible from potential sources of contamination the production cycle must flow from the least sterile to the most sterile room elimination/reduction of turbulence within the clean rooms easy access to all areas of the clean room for cleaning accessories that comply with international safety and hygiene regulations. noise and vibration: can be dangerous both for the workers and for the equipment itself. The equipment, besides its normal function as an air conditioning unit, provides the expulsion of humid air generated while the work environment is being washed. The air treatment unit in this phase provides the introduction of hot air to facilitate the drying of surfaces and equipment.